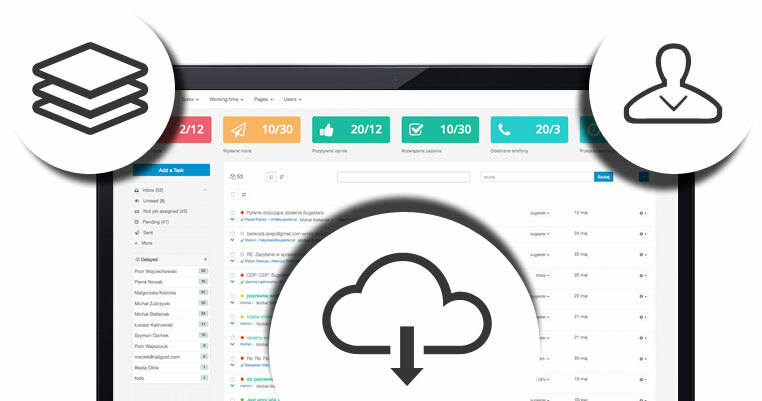 Sugester CRM is an easy-to-use, full-featured solution - perfect for your business. Get new customers and keep your old ones happy. Our tools help you build and maintain relationships with the people who your success depends on. See what Sugester CRM can do for you. E-mails, phone calls, financials and more - Sugester keep track of all your data. No more chaos. Sugester automatically generates customer profiles, reminds you about important tasks and helps your business develop. Was that project worth the effort? Are you doing enough to keep your top customers happy? Sugester's reports show you which direction to take in the future. Reach for the top with Sugester. Sugester boasts a full suite of information management features which make establishing and maintaining customer relationships easier and more effective. Our tools collect all customer information in a single place so that you always know how to cater to their needs. Whether you contact your clients by phone, e-mail or otherwise - Sugester's integrated customer profiles display interaction and payment history in a comprehensible, usable way. Getting customers is just the first step - maintaining them is the key to success. Sugester helps you get return business by keeping customers happy: our tools ensure that all their questions get answered quickly and informatively. Cyclical reminders, analytics and proposal creation tools will convert even the most skeptical window shopper to a paying user. Never get bogged down by miscommunications again: Sugester lets you record and annotate business calls. How does your work translate into profits and revenues? Which customers need the most assistance, and which team members provide it the fastest? Sugester is a powerful tool which collects data and converts it into useful, actionable insights. You are just a few clicks away from understanding project profitability, employee efficiency and more. Start your free 30-day trial of Sugester CRM.